Angela Bonneville is a Licensed Clinical Social Worker who earned her Master’s Degree in 2001. Angela’s experience includes working at a local behavioral health hospital with individuals, couples, families and groups within an inpatient setting. Angela also has experience working in an outpatient adult program. Angela has 25 years of experience in the community working with people in crisis. She has experience working with clients who span the life cycle presenting with depression, anxiety, ADD/ADHD, behavior disorders, family violence, trauma, PTSD, and chronic mental illness. Angela relates well with clients who work as first responders, including law enforcement, fire services, EMS, healthcare services and dispatch. 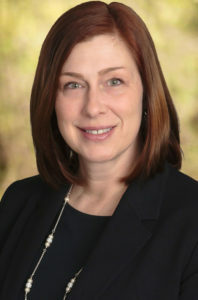 She has a good working knowledge of the Illinois criminal justice system, which she uses to navigate clients who have come into contact with the legal system. Angela uses her training and experience to meet and connect with clients where they are. She focuses on client strengths and encourages clients to identify, develop and practice skills that will enrich their lives, enjoys educating clients on mental health topics and encourages clients to increase their knowledge on relevant treatment modalities. She believes that clients are their best advocates, and she encourages clients to take an active role in their treatment.